Two Horoscopes: Donald J. Trump natal (inner) with his Jupiter Return (August 4, 2017--number 3 of 3) around the outside. 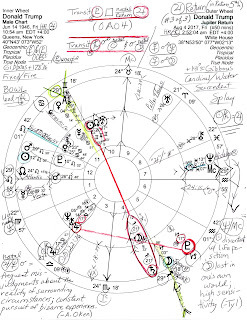 As you see (marked in red), his Jupiter Return chart shows major transits affecting Mr. Trump's natal Sun, Moon, and Jupiter--and as he goes, so goes America. Transit Saturn Rx @21Sag32 in his 4th house precisely (again) conjoins natal Moon while opposing natal Sun. We've discussed this cosmic condition in previous posts with its depressive tendencies, family, relationship, and/or health issues, and ego deflation. This August 2017 Jupiter Return chart suggests a decrease of popularity and lack of cooperation from others who may feel suspicious of his motives (Venus in Cancer rising opposite Moon in Capricorn which conjoins transit Juno and Hygeia Rx). 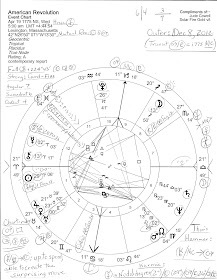 From natal 5th house of Risk-Taking to natal 2nd house of Money and Values: transit Pluto @17Cap31 (18Cap = the NWO-Uranus-Neptune degree of POLITICAL POWER and smug or strong-armed paternalism - Jones) squares natal Jupiter very closely (0A04) denoting a period when old habits of taking himself too seriously and exaggerating his own importance can be crushed by others who have more power, influence, and, of course, wealth. 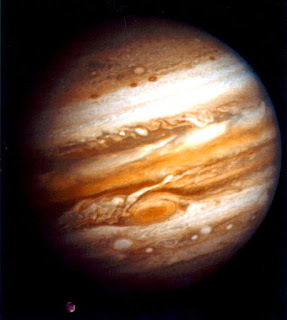 In a Jupiter Return chart, this transit by heavy weight Pluto--the only aspect to or by his Jupiter in the return chart--indicates a time when revision of what had appeared to be permanent becomes necessary (ex: his luxurious former life of ease, comfort, and gilt). Something must be eliminated from his life in order for genuine growth to occur. Of course, this assumes that our political belly-button-gazer wants such growth and change since he may be feeling squeezed or suffocated by his new duties. But until and unless Mr. Trump comes to terms with what's now required of him, he'll be blocked by powerful, manipulative forces (Pluto) and hoped-for outcomes will be mixed at best. And although the relationship may be temporary, someone comes or has come into his life to act as an 'agent of change' to help him 'see' what needs to be eliminated and this may result in separation from those who keep him from progressing in his new role. 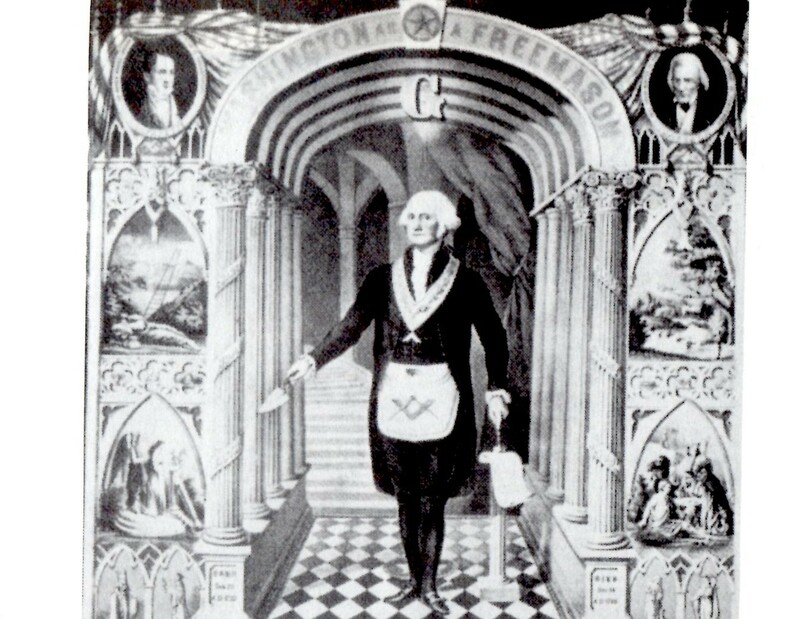 And as we've seen, new opportunities arise if Mr. Trump can handle this Pluto transit well but as always, (his) true motives and unconscious desires must also support his (and our nation's) success with the large scale endeavors often identified by Jupiter-Pluto, a plutocracy pair of planets. Now, thanks to Jupiter's periods of retrogradation, Donald Trump's 2016/17 Jupiter Return/s are a three-fer, exact on December 4, 2016, April 13, 2017, and on the date you see above. His natal Jupiter is prominent and Station Direct in 2nd hou$e conjunct Chiron and Neptune indicating a man with bubbly dreams and a distorted sense of himself (especially with blindspot Chiron) which is supported by an indiscreet, fantasy-prone, reality-challenged Mercury-Neptune square--underscored in the Jupiter Return chart by a Mercury-Neptune opposition with potentials for intentional deception (by and/or against him), lack of clarity or logic, elusive truths, and dangerous ideas. As noted above, in the return chart and rising is a Moon-Venus opposition which affects public perception of him and reflects a tendency toward self-pity, overindulgence, and empty gestures that masquerade as diplomacy. 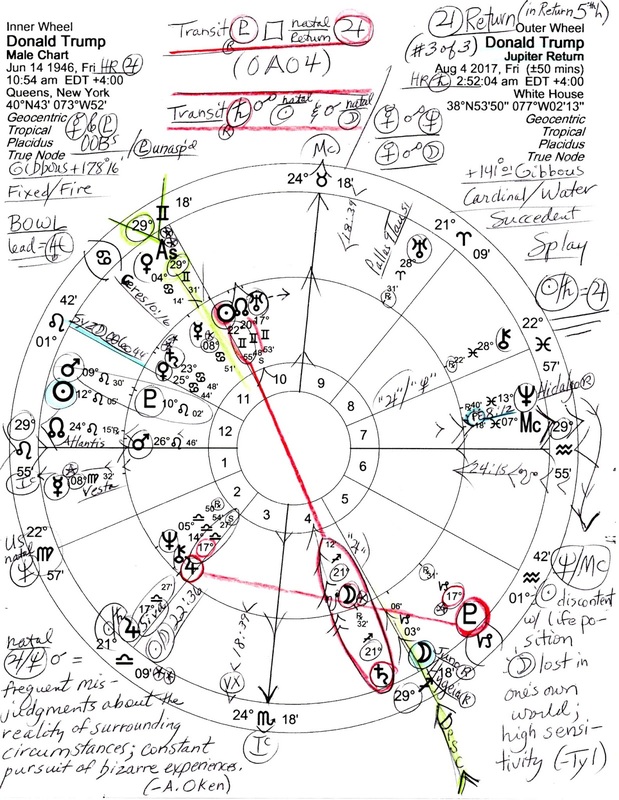 Now of course, there are many other chart factors of importance contained in both horoscopes, some of which are penned sneakily upon the charts if you look closely but it's time for me to slink away and allow you to find them and more when and as you may!